​Old Strand specializes in telling stories... from long form documentaries on PBS stations, to shorter videos for online use. We focus on the photography, the writing, the music and the other tools that tell a simple story -- with an eye to history and natural history. The key to our stories: The People. We are just launching a major new project called "Saving History." It will focus on the men and women who are working to protect the old stories, the old buildings, the old photos and trails and ships and ways of life, that make up our past. We have just finished work on two programs that look back at the fires that ravaged the California Wine country in 2017. "Those First 24 Hours," takes a look at the first night of the fires -- through the eyes AND cameras of the first responders. Their chilling images and stories of close calls and snap decisions give viewers a new look at the massive series of fires that hit Northern California in October of 2017. Also just finished is "The Battle for Jack London's Mountain," which tells the story of a major effort to save Jack London State Park from the wine country fires. The park -- loaded with historical artifacts and the home of the famous California author, was right in the path of the flames. Only a major effort by fire crews, locals and state parks workers, saved the park. Their story of chasing the flames away would easily have been the stuff of a Jack London short story. We also meet descendants of the great writer. ​Old Strand is also working on a series of "Saving History" pieces about our heritage. "The Big Barns of the High Sierra," looks at the giant old gems build by ranchers and farmers in the valleys of the high sierra as early as the 1860's. Stunning to look at, the effort to keep them standing for future generations is a story in itself. Two other fascinating "Saving History" programs are in production now to tell the story of The Great Migration to California starting in the 1840's. We ride on several modern wagon trains to see what life was like for the early immigrants. And we meet the volunteers of Trails West, who research and then mark the emigrant trails used by the wagon trains. Using diaries of the actual pioneers they have found the old trails, and some of the historic artifacts left behind. They have also found some of the graves along the route -- of the travelers who died trying to reach the California Dream. It's living history using a shovel, a compass and the notes of the pioneers. ​Old Strand is also talking to the folks who lived through the Dust Bowl migration of the 1930's. In "Californias Dust Bowl Highway," we meet "the children of the dust bowl." Their families were financially destroyed by the Great Depression and drought in places like Oklahoma and Kansas and became the new Californians. We hear their stories of crossing the country in trucks that kept breaking down, in search of jobs, and survival. John Steinbeck told their story in "The Grapes of Wrath." We will retrace that journey and meet the people who, as children, made that trip west. When they are gone, who will tell their stories first hand? Also in production: the secret hero's of World War Two. In "The Coast Watchers of the South Pacific," we meet the last four surviving Coast Watchers who lived behind enemy lines and spied on Japanese troops. 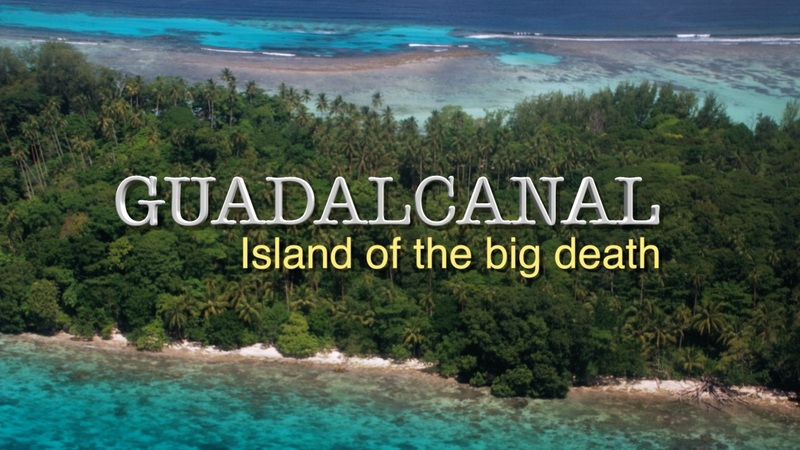 Many were lost in the jungles of the Solomon Islands or New Guinea, captured and executed. These four tell a chilling story that few have heard. When they are gone, who will tell their story? ​History is best served when it is told by the people who lived it. So we look for the men and women who lived that history. It's why we spent weeks in the spring of 2017 documenting what some are calling a once in a lifetime experience: a record winter snowmelt that recharged waterfalls in the Sierra Nevada that had gone dry from the drought. 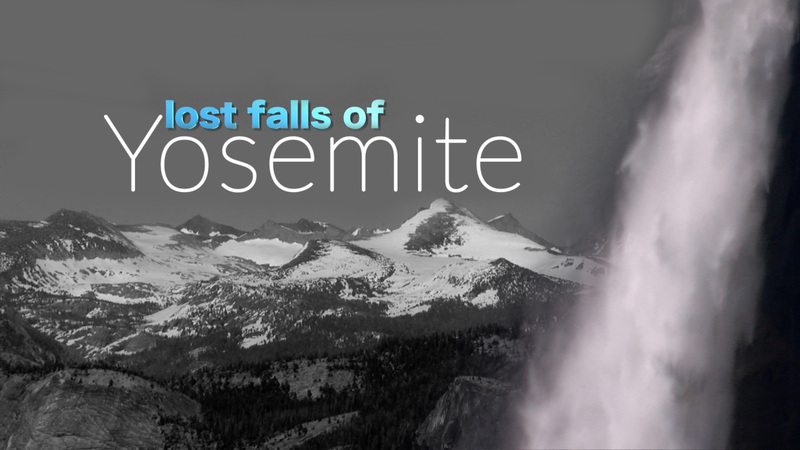 In "Lost Falls of Yosemite," we watch the special sight as the waterfalls spring back to life in ways we might not see again in our lifetime. The DVD has become a popular Christmas gift and the program will be released soon to PBS stations all over the country. 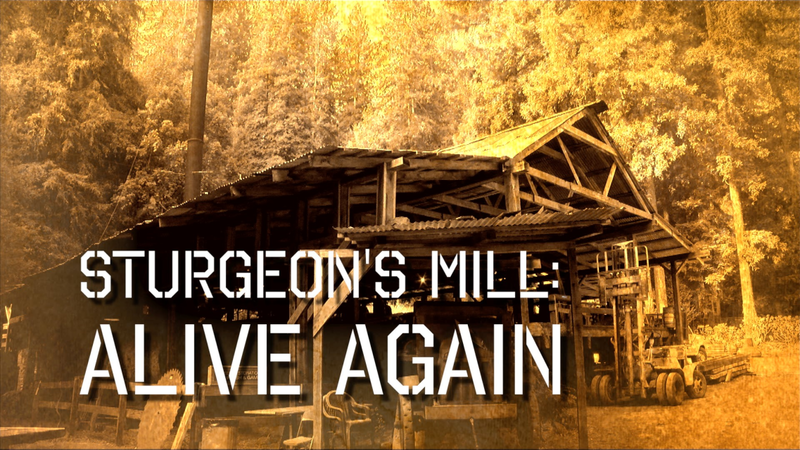 DVD "Lost falls of Yosemite"
DVD "Sturgeon's Mill: Alive Again"
DVD "Guadalcanal: Island of the Big Death"